Male bodybuilder dressed in a gray tank top works out on his home gym equipment to exercise his chest muscles. 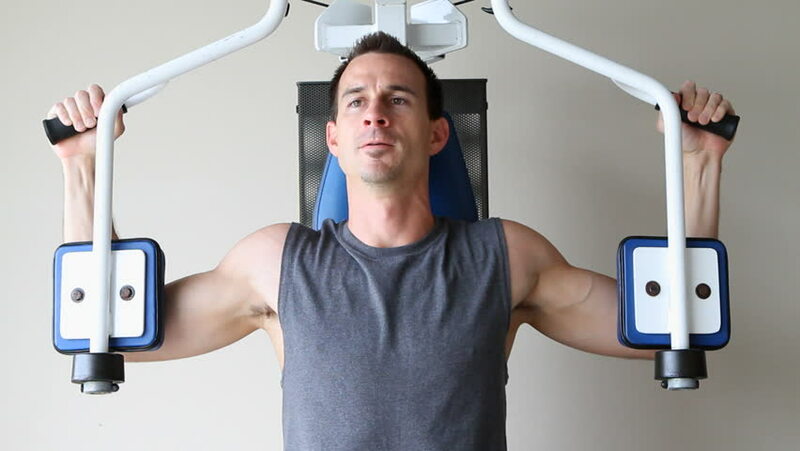 hd00:21Adult man uses home gym equipment to strengthen his chest muscles. hd00:15One electrician at work laying wiring cable with equipment and tools. Screwdriver. 4k00:14Engineer in a protective helmet and goggles and inspected the gas boiler in the tube compartment.